We often take the simple things in life for granted. Whether this be getting up from a chair, walking down the stairs or a walk to the local shops. The disabled may have great difficulty carrying out these tasks. However advances in transport has made life a lot easier with wheelchair accessible vehicles and other disabled vehicles, proving to be key. Those with disabled members in their family, will understand the importance of wheelchair accessible homes and vehicles. These cars have adapted over the years and have become a more comfortable ride. Only large vehicles were able to transport wheelchairs, such as vans or minibuses. However nowadays you can find them in a much smaller version which include Renault, Peugeot and Volkswagen as some of the major suppliers. These wheelchair adapted vehicles have been designed with ramp access, to ensure access is easy. Wheelchairs can be fixed and strapped in, which means the disabled do not have to be lifted out of their wheelchairs. This can be more comfortable for them. These vehicles for sale are not as big as they used to be, which is great for families as they do not take up to much space. Even taxi owners supply wheelchair taxi sales, in order for the disabled to be transported from one place to another, if they do not have their own transport. 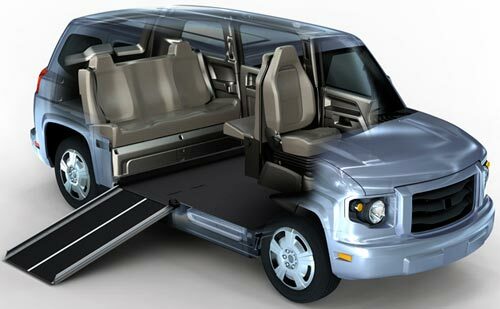 Ramps can be attached to wheelchair vehicles at any time. Wheelchairs can enter from the back or side entry, depending on which is easiest at the time. However in some cases the wheelchair user may also be the driver, which then means the vehicle will be adapted in a number of ways, so that it is easy to drive. The accelerator and brake pedals can often be controls via buttons or pulleys, by a system which attaches the pedals to the steering column by pulleys. Steering can also be made easier by adding features to make turning or steering easier. 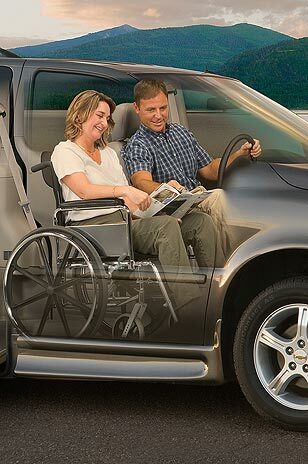 The wheelchair adapted vehicle can often be transferred back to normal without much hassle. There is an ever growing market for wheelchair accessible vehicles and handicap accessible vehicles. Size, design and colour my be important features which people often consider when purchasing new vehicles. Reverting back to when wheelchair vehicles were big and bulky, they were often unsightly too. Major companies and suppliers including Kia, Peugeot and Nissan are now giving you more options to choose from when it comes to colour, shape, style and size. 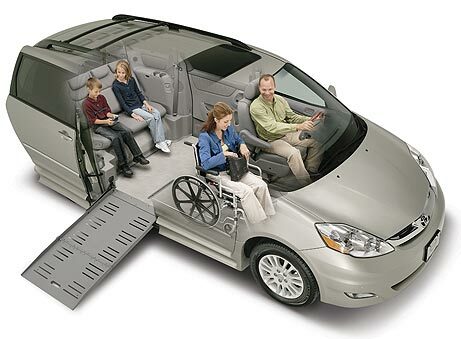 Wheelchair accessible vehicles or WAV vehicles are becoming increasingly popular. However you must remember to do a little bit of research before committing to buying a new or used car.